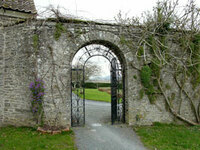 Set in 27 acres of parkland, Caer Beris Manor was formerly the home of Lord Swansea. The River Irfon surrounds the hotel. Gardens to visit while staying at Caer Beris Manor include Powis Castle Garden (47 miles) and Hergest Croft Garden (21 miles).